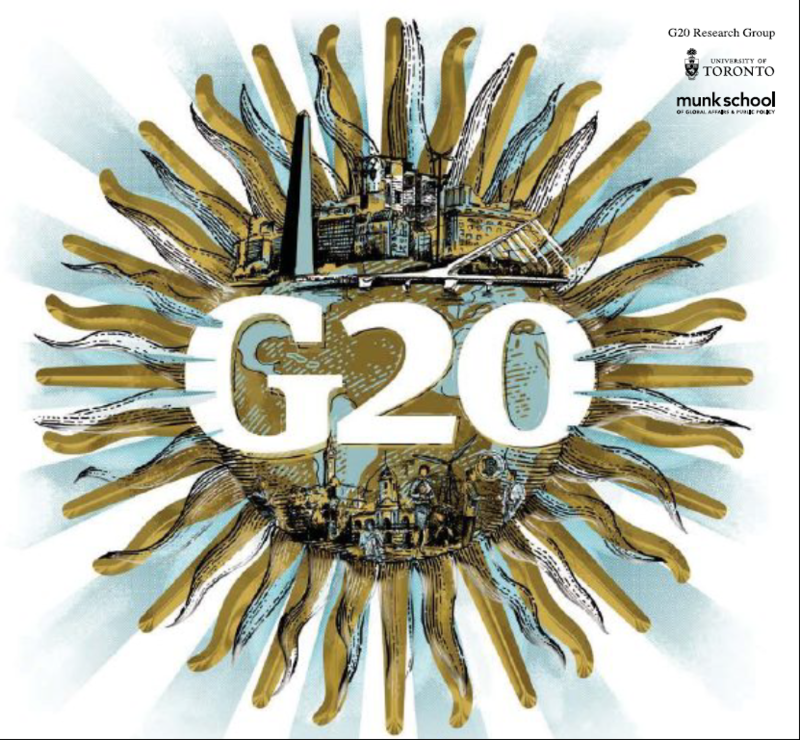 John Kirton, Madeline Koch and the G20 Research Group are pleased to announce the release of our latest publication, G20 Argentina: The 2018 Buenos Aires Summit, available for download at http://bit.ly/G20BuenosAires. Printed copies will be available at the International Media Centre in Buenos Aires for the G20 summit. This issue contains original articles written by summit host President Mauricio Macri, his colleagues Chancellor Angela Merkel, President Cyril Ramaphosa, Prime Minister Giuseppe Conte, Prime Minister Justin Trudeau, President Michel Temer, President Enrique Peña Nieto and President Jean-Claude Juncker, along with Prime Minister Pedro Sanchez, Prime Minister Mark Rutte, Prime Minister Andrew Holness and President Paul Kagame. Other contributors include the IMF’s Christine Lagarde, World Bank’s Jim Yong Kim, WTO’s Roberto Azevêdo, OECD’s Angel Gurría, the ILO’s Guy Ryder and the Financial Stability Board’s Mark Carney, along with many more leaders of international organizations and experts whose work contributes to the G20 leaders’ agenda. G20 Research Group director Professor John Kirton has already arrived in Buenos Aires and will be joined by the field team who will be on site at the International Media Centre throughout the summit. Experts available for background and analysis include Professor Tristen Naylor of the London School of Economics, experts Denisse Rudich and Lida Preyma, and a team of multilingual researchers who have been observing the work of the G20 since the Hamburg Summit in 2017. More material will be posted on the G20 Information Centre and Global Governance Project websites in the coming days.